Primarily at Copán, Honduras, in association with the ball courts, is a giant mythical bird pictured with primarily macaw characteristics. Indeed at Copán you get the concept of “Macaw Mountain.” Ironic that in a highland area you get such a concentration on macaws whose natural habitat is more in the rainforest lowlands. 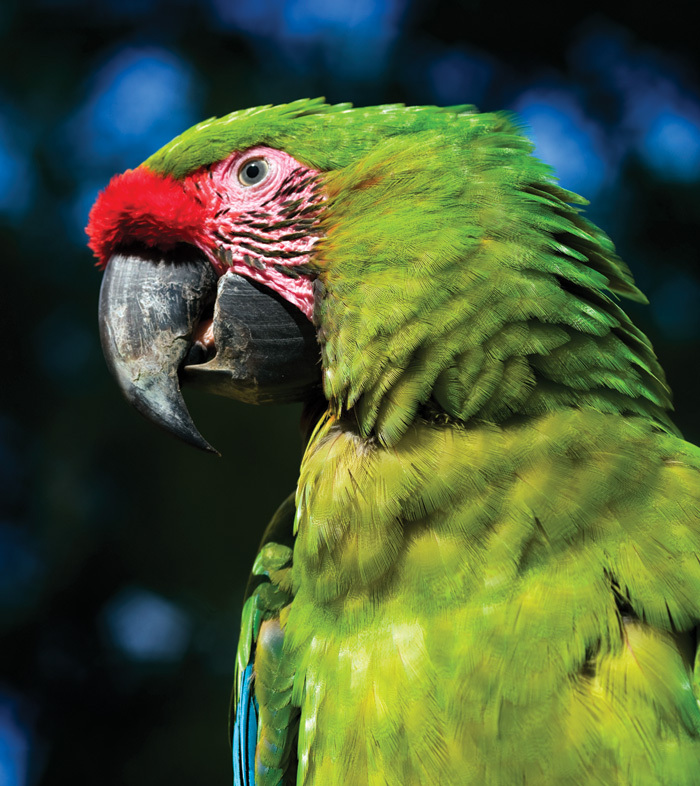 Whereas an ornithologist could perhaps tell the difference between Mayan portraits of parrots and Mayan renderings of macaws a thousand years ago, I will bunch them together for this article. 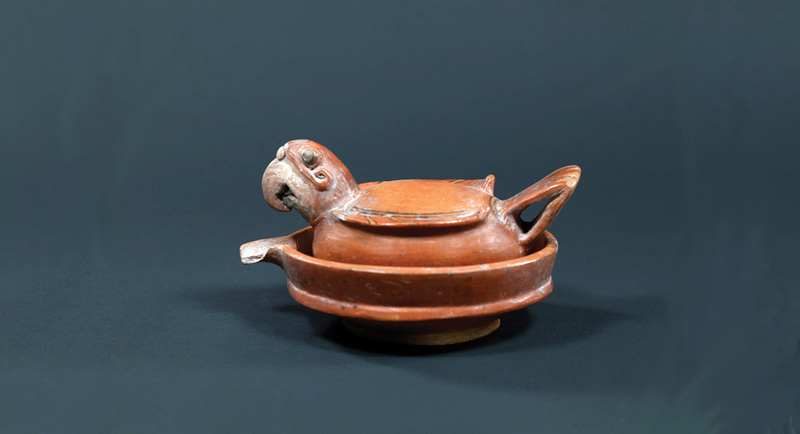 In the Museo Nacional de Arqueología, in the Museo Popol Vuh and other museums, you can see highly stylized macaws in profile on the sides of Early Classic basal flange bowls. 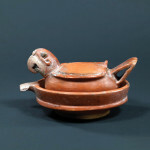 This class of ceramics is from the Tikal, Uaxactun, Holmul area of Central Petén, but examples can be found elsewhere, including Belize and potentially at Copán, since the ceramics of Honduras were also influenced by styles from nearby Guatemala and Belize. In the museum of glass and archaeology in the Hotel Casa Santo Domingo in La Antigua Guatemala, you can also see macaw effigy vessels (again we use the word “macaw” as a generic term; some of these may be large parrots). A few centuries later you also find macaws as ballgame hachas (hatchets). 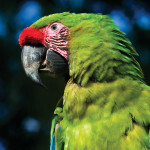 A vulture is more common, but macaws, bats, deer and feline heads are also stylized to form a ballgame hacha. An hacha was worn on the special ballgame belt, especially during decapitation ceremonies and ritual portraits of the players posing with the giant ball. 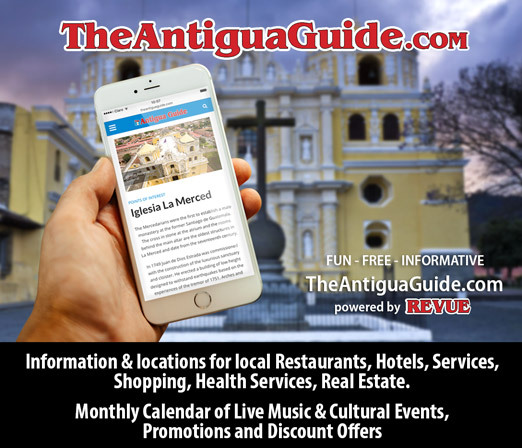 Although there are several macaw species in tropical Latin America, the one you see most often in Guatemala is the scarlet macaw, Ara macao. The most remarkable renditions of Seven Macaw are from the pre-Classic murals of San Bartolo, Petén. 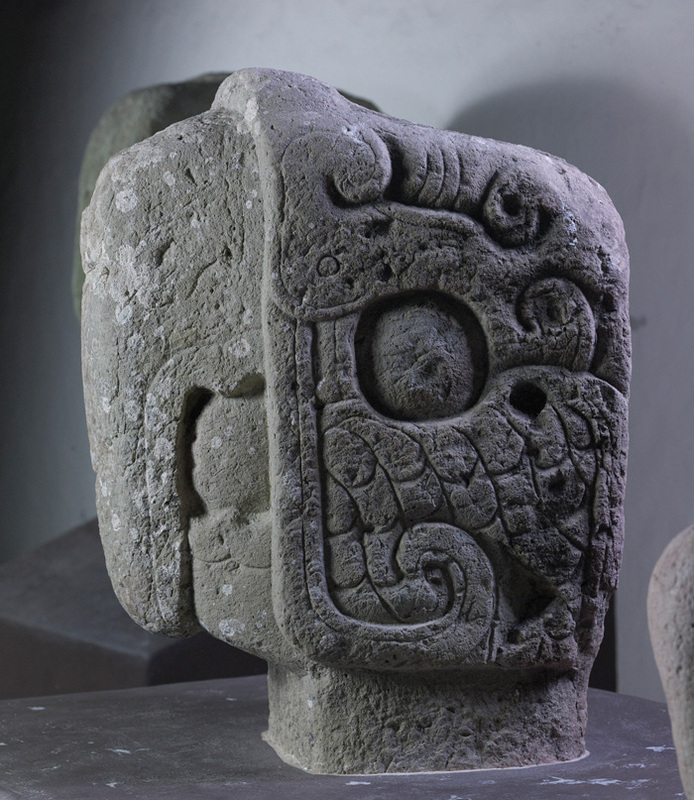 But this giant bird deity is, as mentioned, primarily a snake-eating hawk composite, despite its name as a macaw in the 16th century Quiché Highland Mayan version of the Popol Vuh, which is the version that has come down to us. Macaws are commonly pictured in Mayan art from about the 2nd century onward, but on ceramics are most common in the early Classic Petén region of Guatemala. 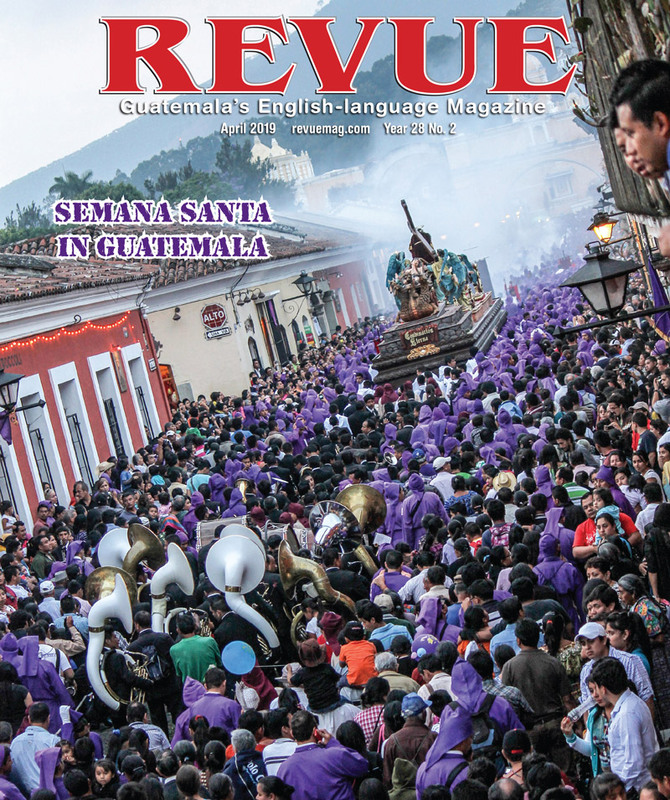 For sculpture, the most common place to find representations of macaws is Copán, Honduras. Otherwise, hummingbirds, water birds, vultures and raptors (hawks and eagles) are the birds most commonly pictured in Classic Mayan art. Overall more than a dozen species, or even 20, could be itemized, but you soon notice that certain species are pictured more often than others. 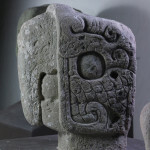 You can see photos of some of these birds on our website, www.maya-archaeology.org.